When it comes to stance, there are two main parameters: width between your feet and the angle your feet are turned. In this post, I will cover your stance width, but stay tuned for next week when I will discuss how to know what angle to set your bindings at. 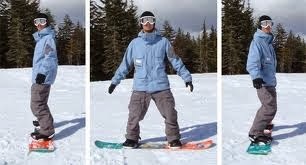 When people talk about stance width, they are talking about how far apart your bindings are set apart from each other. Knowing how far you want to set your bindings apart will depend on the type of riding you plan to do as well as your height. As a general rule, your feet should never be closer together than the width of your shoulders. As you spread your feet apart more, the lower your center of gravity will be. Since snowboarding is all about maintaining your balance, a lower center of gravity is better. Just like everything else in life though - you need moderation. There is such a thing as too wide of a stance. When your stance is too wide, it will promote poor technique and will be uncomfortable to ride on for extended periods. Aside from your height, the second thing you need to consider when setting your width is your riding type. Are you a beginner, expert, free-rider, or park rat? If your answer is anything other than expert or park-only-rider, then I suggest your stance be a little wider than your shoulders. If you’re an expert or only ride the park, then push your stance as wide as your board will permit. Hopefully this gives you a decent foundation into understand how you want to set your binding width. 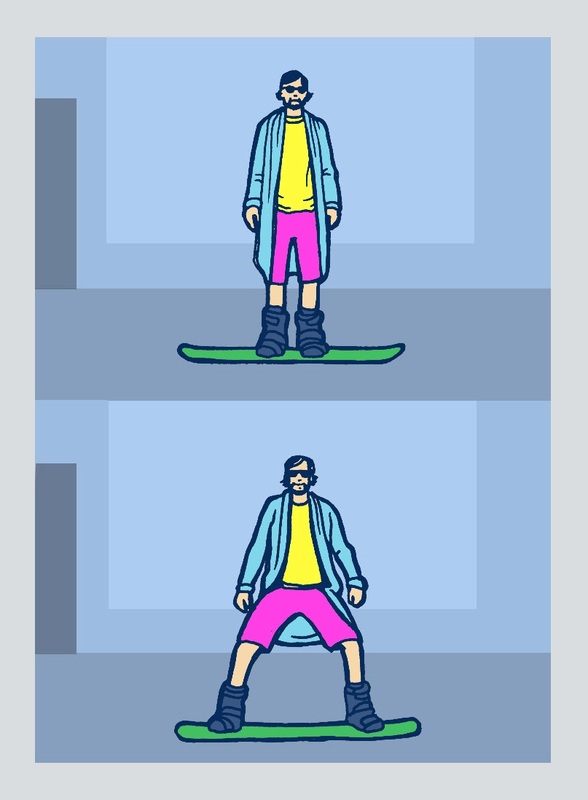 You will want to also read next week’s post about binding angle which is the other, equally important, aspect to your snowboard stance. All of this said, the absolute best way to figure out the stance for you is to experiment! Ride half a day at should width, then the second half of the day a little wider and compare which you like best!